Editors’ note: This column was originally published by GIM International, a global geospatial magazine, on Oct. 31, 2018. Read the column here. 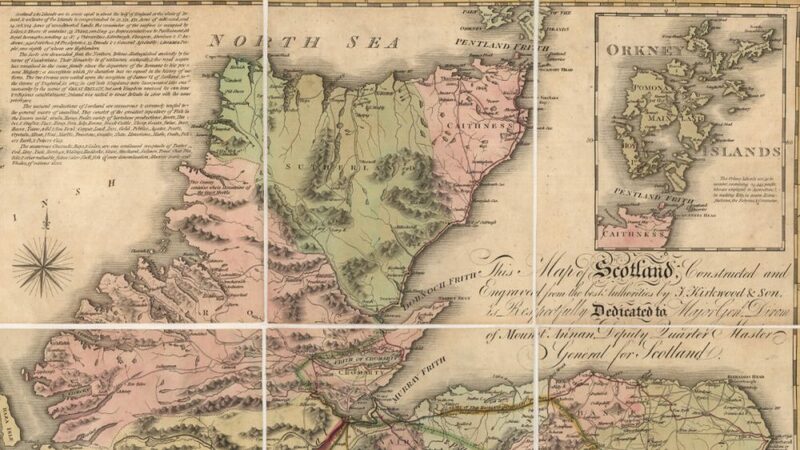 Tavish Scott wanted more honesty in maps of Scotland – and in July, he got it. A short provision in the larger Islands Act bill passed by the Scottish Parliament now requires government mapmakers to put the Shetland Islands where it belongs. Scott, a politician representing the Shetland Islands, had fought for the provision. Cartographers often pulled the vast and solitary archipelago toward the mainland by putting its islands in a box, erasing the vast swath of sea between the two. Scott said the sea is a feature of Scotland, not a bug. “It seems to me a bit strange not to have the sea as part of the geography of Scotland. It’s the reality of where we are,” he told CBC. “The logistics of getting to and from Shetland are all too often overlooked, and this has a serious impact on the economies of the islands,” Scott said when he announced the legislation. Scott wanted context for his home – and, in this case, the sea provided context. Scottish maps were accurate, but they did not reliably contextualise the Shetland Islands with the mainland. In the same way, the GNSS receivers used today need more context. Manufacturers have used sub-metre, sub-foot, and even sub-centimetre to describe the levels of accuracy offered by their GNSS receivers. While some manufacturers’ claims are dubious – one claim even caused a small uproar in the GNSS community – most claims to accuracy are legitimate. But, like Scottish maps, are they reliable, repeatedly placing measurements next to one another? It is fair to say that high-level accuracy in most GNSS receivers has arrived. However, the reliability of receiver accuracy is the next frontier. Three receivers by three different manufacturers could claim sub-metre accuracy, even though each manufacturer uses a different statistical method to make the claim. One might use circular error probable (CEP), a calculation that qualifies the data as sub-metre only 50% of the time. Another could use root mean square (RMS), denoting the data is only truly sub-metre on around 65% of a job. The third manufacturer could use twice the distance root mean square (2DRMS), a measure that indicates the data as sub-metre-accurate around 95-98% of the time. Those three ‘sub-metre’ devices are not exactly equivalent, though it seemed they were. In the same way, three different Scottish maps could have boxed, moved and manipulated the Shetland Islands. 1) consumers should accurately define the job they are doing. This gives the sales representative a better picture of the solution the application requires, 2) the consumer should avoid buying products with features inapplicable to their job. Otherwise, they will likely end up with a more expensive product they do not need, or a seemingly inexpensive product that does not deliver the desired results, 3) consumers should ask how the manufacturer validates product claims like accuracy, 4) consumers should ask how reliably the product delivers its advertised accuracy, and 5) consumers should ask for customer references, a live demonstration, a test device or a rental to validate that the product meets their needs. There are 27 GPS satellites, 24 GLONASS satellites and two more satellite constellations on their way with Galileo and BeiDou. Soon, GNSS professionals will turn on a receiver and simultaneously capture 30-50 satellites, deriving measurements from four distinct constellations that all overlap. It is time for manufacturers to stop drawing their own boxes. Until then, consumers should use these questions and manufacturers should provide honest answers to contextualise products. Because sometimes there are miles of sea, it seems, between a claim and reality – just ask Tavish Scott. Read the latest on the geospatial industry in GIM International. For information about how you can affordably improve your GPS and GNSS data with the Geode Sub-meter GPS Receiver, contact us here. Visit Juniper Systems online here.